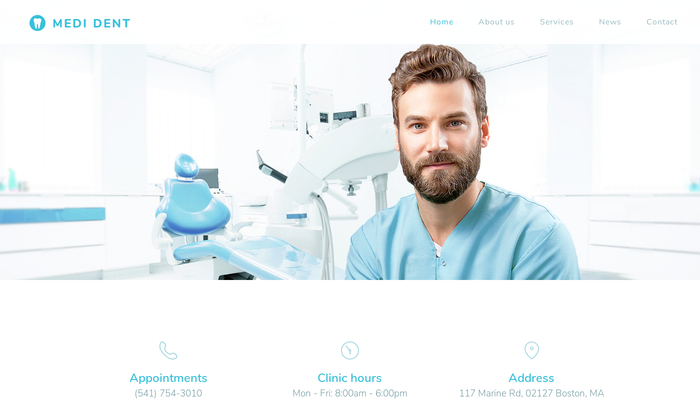 Professional design for dentists, dental hygienists and other medical professions. 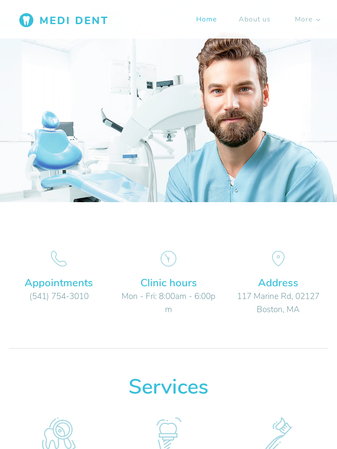 This template will show your current and future patients all the information they need to know about your practice. You can easily share your contact details and important news directly on the homepage and use our extensive icon gallery to make your website even more interactive.